As America faces the fiscal cliff, the impossible becomes conceivable. Finally, we face the possibility of reducing the home mortgage interest deduction. Such a reform is long overdue, because the long-entrenched deduction has serious flaws. Yet eliminating the deduction altogether would create its own problems — disproportionately harming high-cost, high-wage areas like Massachusetts. Making it less attractive to live in America’s most economically productive areas would be a mistake. Any adjustment to the mortgage interest deduction must take account of this pitfall. Though politically popular, the deduction is, rightly, the subject of criticism from many quarters. It encourages Americans to buy and build bigger homes, which use more energy. If we want to keep carbon emissions or energy prices down, we should want Americans to live in smaller homes, not bigger ones. The deduction also redistributes from poor to rich. Economists James Poterba and Todd Sinai find that the average benefit for home-owning families earning more than $250,000 is over $5,000 per year, while the benefit for those earning between $40,000 and $75,000 is less than one-10th as much. The deduction pushes buyers to take out bigger mortgages, and we’ve seen how that turns out. The federal government didn’t cause the great housing convulsion of the past decade, but it contributed as tax policy subsidized Americans who borrowed to make big bets on housing. The result was not an ownership society but a foreclosure society. Finally, the mortgage deduction also pushes Americans from high-density living into exurbia. While more than 85 percent of single-family detached houses are owner-occupied, more than 85 percent of homes in buildings with five or more units are rented. This isn’t surprising; scores of owners in a large building make for fractious condo meetings. But if the tax code says that the American dream means owning a home, then it discourages the millions of Americans who might otherwise rent an urban apartment. For all those problems, getting rid of the deduction altogether would stack the deck even more against highly productive areas, such as Boston. Many Americans could increase their incomes — and the nation’s productivity — by bringing their skills to these areas. But if they do, these workers face not just higher costs but larger federal tax payments; as a result, their disposable income can actually go down if they move. Michigan economist David Albouy estimates that the tax code causes America to lose about one-quarter of 1 percent of income each year because it pushes people away from more productive places. Whatever its downside, the mortgage interest deduction partially offsets this effect. 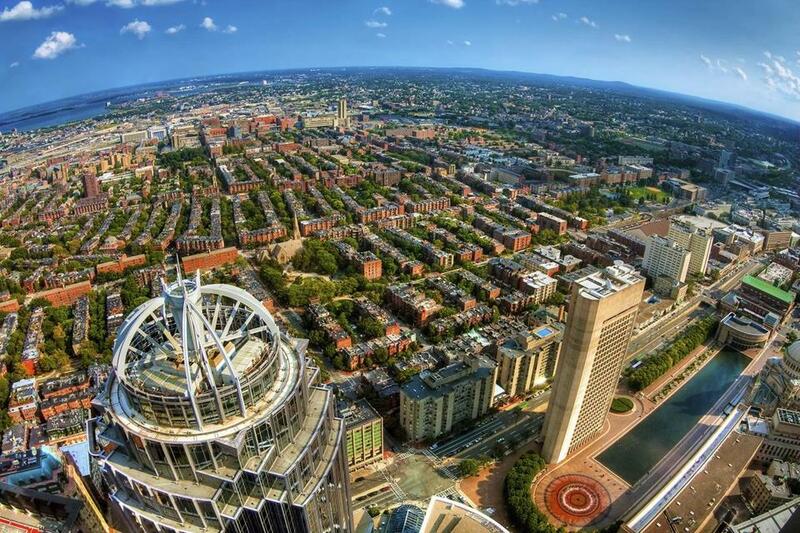 One study found that the average tax benefit for homeowners in greater Boston was over $5,000, while the average benefit in non-metropolitan Florida was less than $2,000. Meanwhile, Albouy estimates that, without the mortgage interest deduction, the social losses from pushing people away from productive areas would increase to just under half of 1 percent of national income. Fortunately, there are ways to prevent this. We can get rid of the mortgage deduction without penalizing Massachusetts and other high-price states, if we replace the deduction with a tax credit that takes account of city-to-city differences in the local cost of living. The credit would not be tied to home value or borrowing. If Congress still wanted to encourage homeownership, the credit could be tied to owning a home. But it doesn’t need to be. The credit would help create a more productive nation by partially offsetting the tax costs of moving to a more productive area. A more sophisticated plan is to tie to the tax credit to local earnings for ordinary workers, rather than just to local housing prices. We have more of a national interest in encouraging people to live in productive places than to live in areas with, say, beautiful sunsets. That structure would favor Massachusetts more and coastal California less. We can eliminate the worst downsides of the mortgage interest deduction and increase tax revenues, without penalizing America’s most productive areas. We should replace the deduction with a tax credit that increases in value in areas where it is more expensive to live.